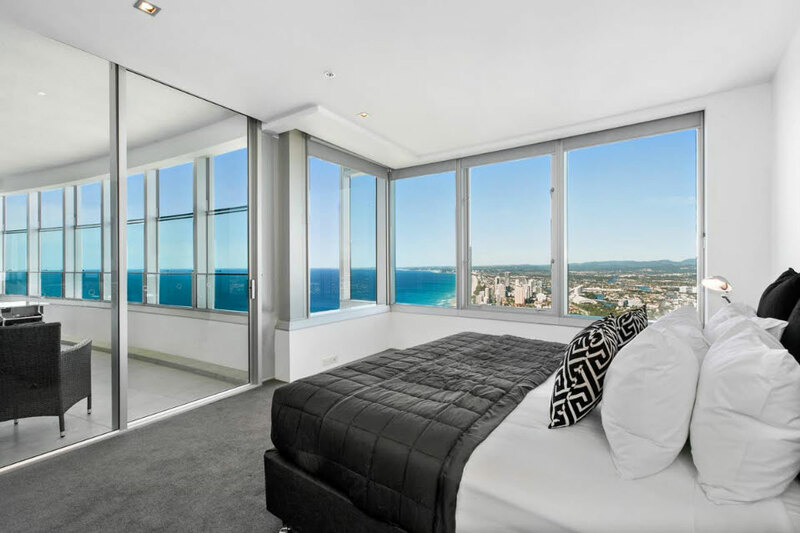 The iconic Q1 Resort and Spa at Surfer's Paradise, Australia's tallest residential resort tower, offers exclusive accommodation (with a special 15% off for Must do Brisbane readers - see below) with stunning views of the Pacific Ocean, bright lights of the Gold Coast and lush green of the hinterland. 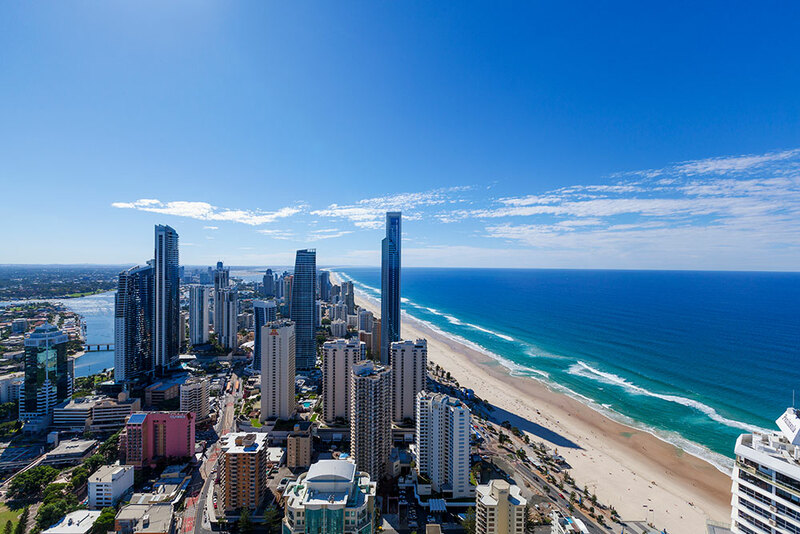 Whether your stay is for business, a romantic weekend getaway or family holiday, Q1 is the ultimate Gold Coast accommodation; just metres from the beach, close to golf courses, local attractions, theme parks and tropical rainforests. Inspired by the spirit and lifestyle of Australia, the iconic Q1 building reflects elements of the Olympic torch and the Sydney Opera House in a thoroughly modern melding of architecture and engineering. 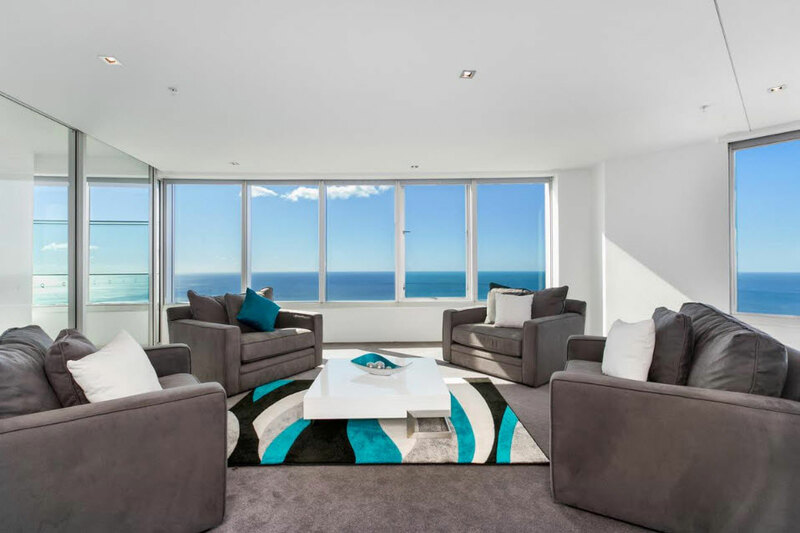 Likewise, each self-contained, modern apartment is state-of-the-art with a sleek design delivering an uncompromising sense of space and freedom. 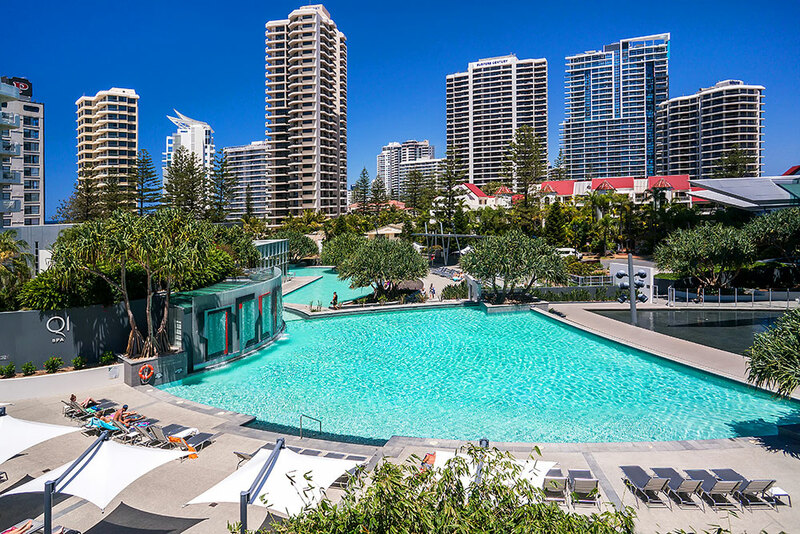 In addition to luxury accommodation with breathtaking views, Q1 Resort boasts three swimming pools, an award-winning Day Spa, SkyPoint Observation Deck, modern meeting, conference and wedding facilities, world-class recreational facilities and a beautiful dining precinct set amongst pristine tropical landscaping. Q1 Day Spa is the Goldd Coast's most acclaimed day spa blending ancient techniques with modern technology. Specialising in dual treatments, couples, best friends, mothers and daughters can indulge in pamper treatments together. Patrons are spoilt for choice from full body exfoliations, sea salt scrubs and sea moss mineral wraps to fragrant spa baths, hypnotic Vichy showers, and the amazing Jet Spa 'pod' that will steam, infrared, mist, massage, shower and scent you. 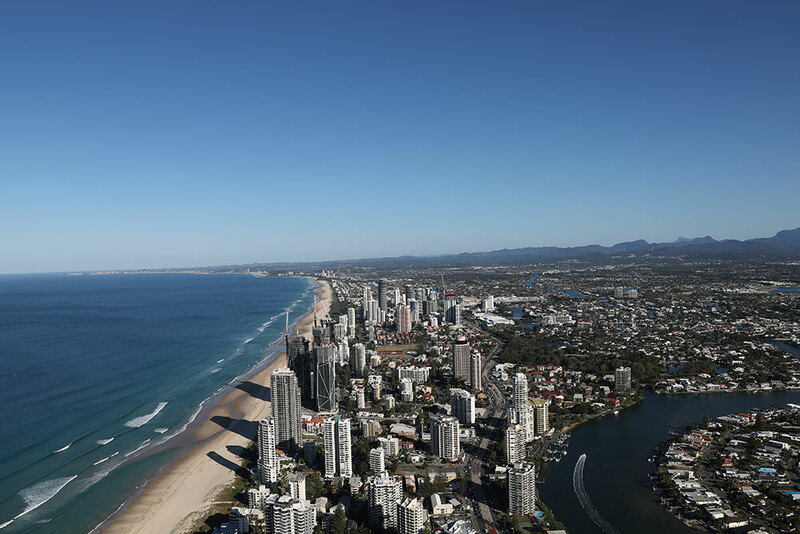 SkyPoint is Australia's only beachside observation deck with unsurpassed panoramic views of the Gold Coast, from the beach to the bush and beyond. 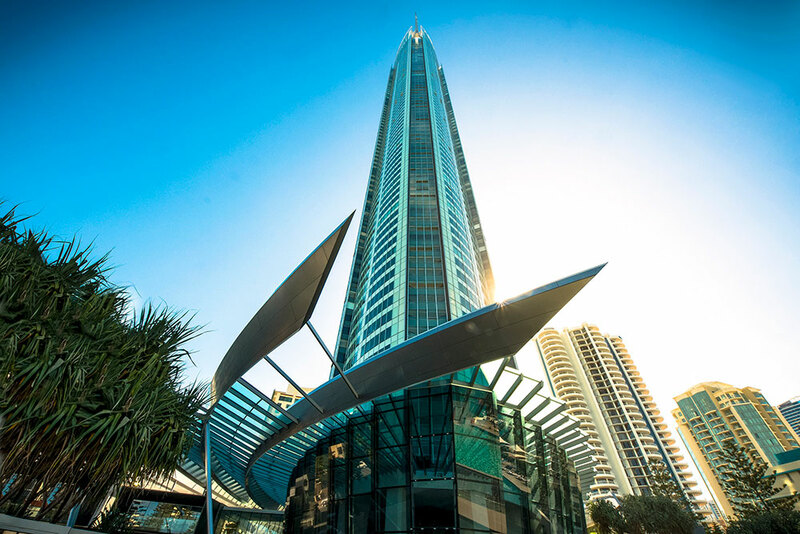 Perched atop Q1 on level 77, 230 metres high, SkyPoint is the city's highest dining and entertainment destination. Diners can enjoy 360 degree views along with delicious food and drink in a chic, relaxed setting. 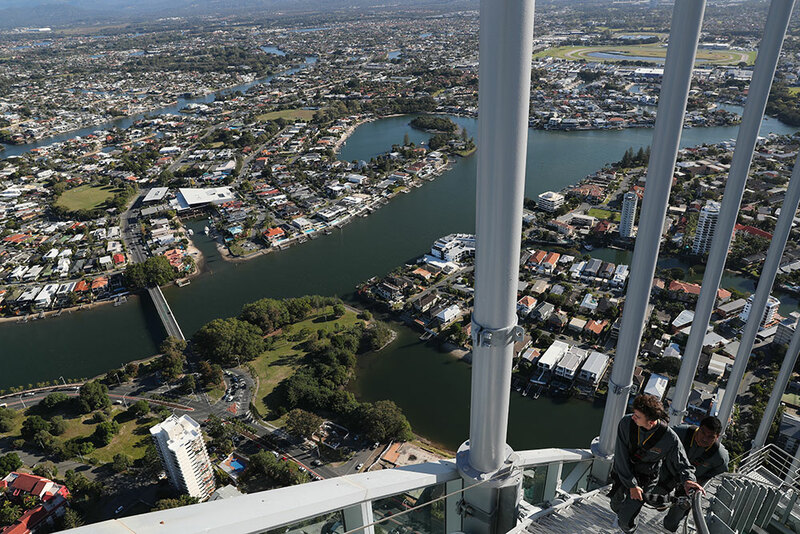 The most exhilarating experience and must-do adventure on the Gold Coast is the SkyPoint Climb, Australia's highest external building climb. Thrill-seekers, including kids, can climb 40 metres (nearly 300 stairs) safely harnessed to a purpose-built rail system. At the summit, climbers can have their photo taken while taking in the spectacular vistas. Q1 also offers residents a luxury high tea private cinema experience where you can enjoy a delicious high tea with champagne and watch your favorite movie in a state-of-the-art private cinema!